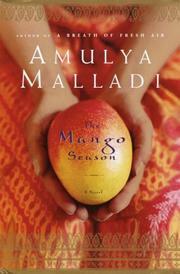 A welcome second from Malladi (A Breath of Fresh Air, 2002), who sends a young expatriate back to her family in India and makes her grow up fast. A bright girl from an ambitious Brahmin family, Priya studied computer science at Texas A&M and has a good job in Silicon Valley. Now on her first visit back to her family in more than seven years, she’s surprised at just how foreign India—with its dirt, heat, and traditions—has become to her. Her family is proud of her accomplishments, but they worry that, at 27, Priya is on the verge of becoming an old maid. She didn’t have the nerve to tell them about Nick Collins, her American fiancé back in San Francisco, so they took matters into their own hands by arranging a marriage for her to Adarsh Sarma, the handsome and very eligible son of a prominent local family. Americanized to look upon arranged marriages as monstrous and absurd, but still Indian enough to find it hard to defy her parents outright, Priya is in a bind. Plus, she thinks Adarsh is a hunk. And Nick has stopped returning her e-mails. Everyone is excited about setting up a double wedding with Priya and her aunt Sowmya (who has been assigned a considerably plainer and less desirable fiancé), and Priya is afraid that the arrangements will soon take on a momentum that can’t be stopped. What to do? Has Nick abandoned her? Is a bird in the hand worth two in the bush? And does Priya really want, deep down, to be an Indian or an American? When there’s no time to sort out your thoughts, you have to go by your gut feelings, even if you can’t justify them. Standard fare, but nicely seasoned: The spice of atmosphere and geography livens up a family saga and gives a fresh twist to a typical coming-of-age tale.